An epicurean from Melbourne on a quest for eco-friendly tucker. In music, a Coda is a passage that brings the song to a conclusion. 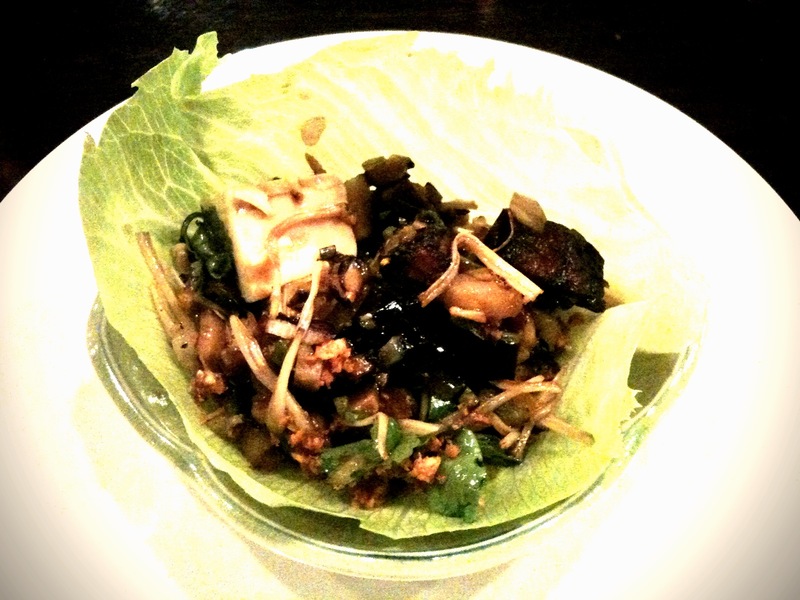 My experience of Coda Bar and Resturaunt was surprising - in a good way - and very satisfying. I don't know enough about spanner crab and the most recent research I could find suggested that there is some uncertainty in estimation of stock status at least in Queensland. 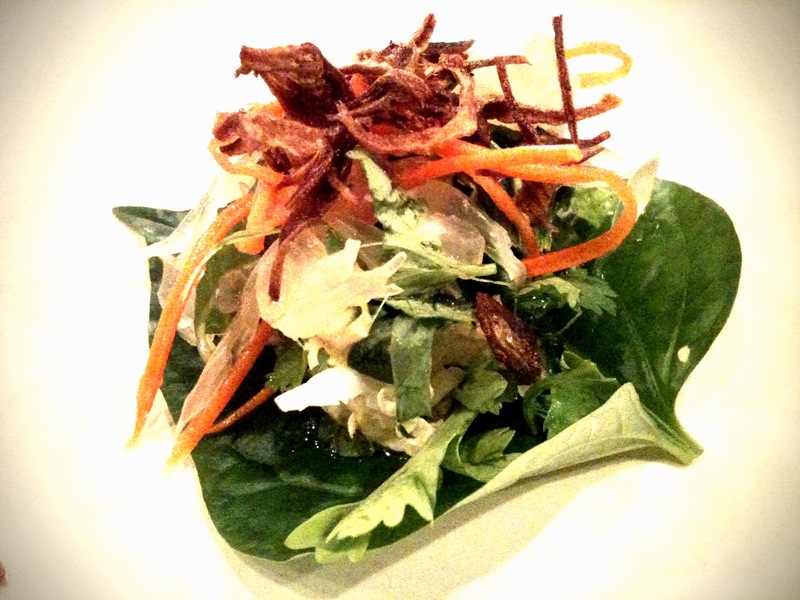 Instead, I ordered a vegetarian betel leaf which came topped with a delicious salad of glass noodle, corriander and carrot along with galangal, roasted chilli and lime betel leaf. It was superb. The eco-food credentials of prawn and pork are questionable, so I again opted for an alternative. 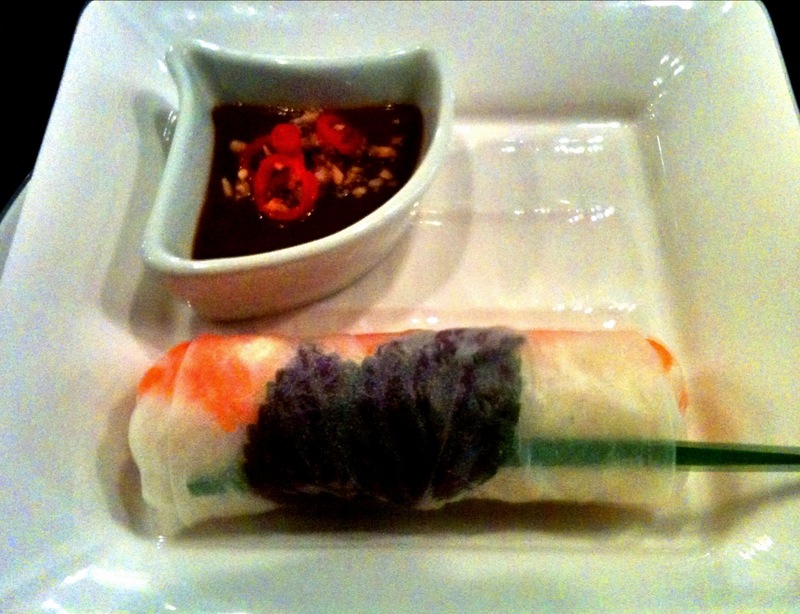 My vegetarian rice paper roll was excellent with the dipping sauce making my day. I also ordered the eggplant and tofu lettuce delight with enoki mushroom, crispy garlic and black vinegar $6 which I couldn't fault. It had that melt in your mouth flavour explosion. Yum! The surprising part was that when the bill was presented, I noticed something that I've very rarely encountered in any resturaunt. The betel leaf and rice paper roll dishes had been discounted to reflect my requested vegetarian modifications. They were only $4 and $5 respectively! A bargain in any language. Cool eh? I was also impressed by the bar staff who served me (I sat at the bar rather than the tables). The gentleman who waited on me was extremely vegetarian savvy and accomodating. He suggested the numerous possible modifications and pointed out the several dishes on the menu that were either vegetarian, met my nebulous eco-food criteria, or could be modified as such. Very unusual and most welcome. The nifty thing about sitting at the bar is that it gives you a prime view of Adam D'Sylva and his team as they busy themselves concocting cuisine in the kitchen. The bar is satisfyingly modern with lights picking out the colours in the bottles. 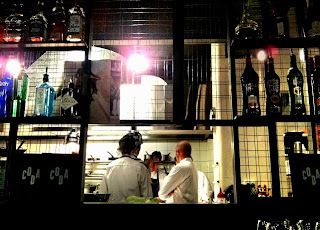 Adam - the head chef and owner of Coda has a strong pedigree having been Head Chef at Longrain. He is also a supporter of environmental issues and was appointed as an Ambassador for Earth Hour. I reckon that in my case Coda means I need no longer continue my quest for eco-food fine dining. I'm a Melbourne epicurean on a quest for eco-friendly tucker. I like eco-food which for me, means I eat plenty of vegetarian fare and try to choose sustenance with a small environmental footprint. I’m not about proselytising or guilt-tripping others, it is just a choice I make for me. Very occasionally I might eat some sustainable seafood or push the boundaries of eco-food-dom and devour an exotic vegetarian delicacy with perhaps a few too many food miles. But on the whole, I’m into tasty, good-grub that I can squeeze into my amorphous eco-food paradigm (and my ever expanding belly). Oh and I really enjoy a nice beer or good wine with my food and maybe before and after it too. So why don’t I eat meat? Well, there a many reasons, but if I was to choose one it would be the consequences of meat production for the global environment. A nice summary of these impacts is the UN-produced tome – Livestock’s Long Shadow. The report includes some fascinating real-world data on how meat production influences climate, biodiversity, water and the poorest societies across the globe.